K’s discovery leads him on a quest to find Rick Deckard (Harrison Ford), a former LAPD blade runner who has been missing for three decades. The 'Blade Runner 2049' competition has now closed. Winners will be announced shortly. Competition opens at 5pm AEDT on Sunday 14th January 2018 and closes at 11:59pm AEDT on Sunday 21st January 2018. Five winners will be chosen at random on Monday 22nd January 2018. To successfully win, entrants must fulfil the above entry conditions before the time the competition closes. Current members/followers are eligible to enter the competition. Only one entry per person. Only one winner per household. To be a valid winner, the entrant must not have won a prize from SWITCH within the last 28 days. 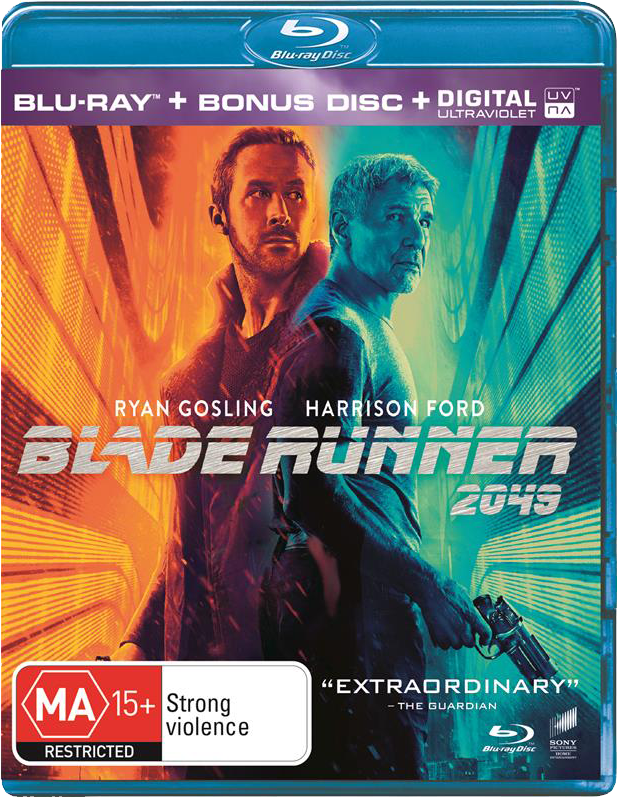 Each winner will receive one Blu-ray copy of 'Blade Runner 2049'. By entering, you agree to receive occasional emails from SWITCH in the future. If you decide to unsubscribe from these updates, any further entries will not be applicable. Only Australian residents are eligible to enter. 'Blade Runner 2049' is available on 3D Blu-ray, 4K Ultra HD, Blu-ray, Digital and DVD on Wednesday the 17th January 2018 from Universal Sony.